Elvis Presley® turned heads with his electrifying performances, fueled by the love of millions of fans. Another American icon, the Ford truck, also grabbed people's attention with its rugged reliability and performance. Now, these history-making performers come together in a show-stopping tribute to the King of Rock and Roll® with the Rollin' with Elvis® Sculpture Collection. 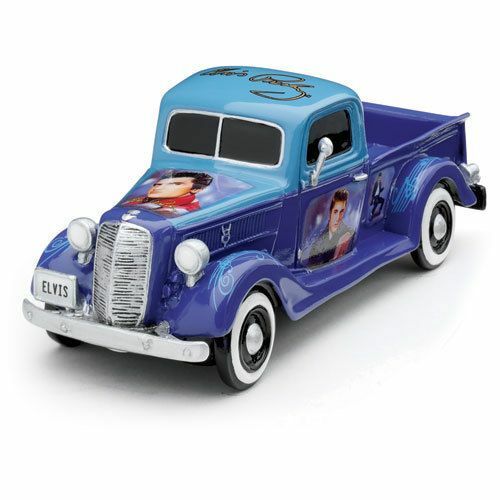 Available in a limited edition exclusively from The Hamilton Collection and officially licensed by Elvis Presley Enterprises and the Ford Motor Company, each issue in the Rollin' with Elvis Sculpture Collection is hand-sculpted of collector-quality artist's resin to 1:34 scale and emblazoned with hand-applied art portraits of Elvis from memorable performances. 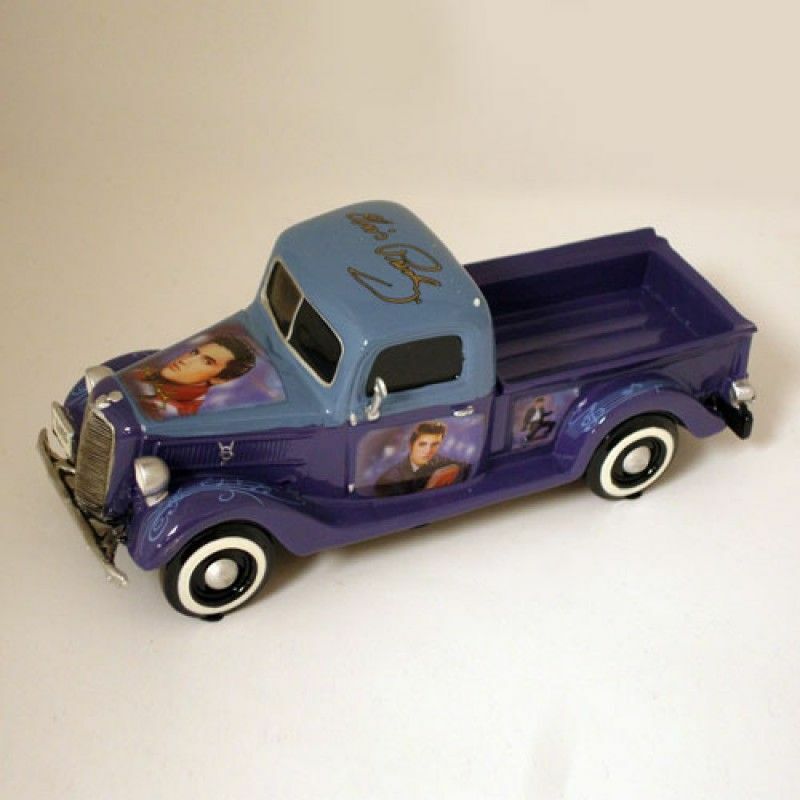 All the trucks in the collection also feature gleaming, chrome-like accents, official Ford emblems and Elvis's replica signature. High-gloss paints create smooth, sleek showroom finishes. Measures about 5.5" (13.75 cm) long. 1:34 scale.